We’ve interviewed hundreds of prospective students, and had the privilege to work with many coding bootcamp graduates. We’ve compiled a brief list of the top fears some of our students have shared and how they have navigated through them to success. 1) Am I really smart enough? It’s all about commitment, persistence and passion. If you like to problem solve & build things then coding might be something you’d enjoy. Give yourself permission to grow and try something new. Remember that not everyone wants to be a coder. Give yourself some credit! 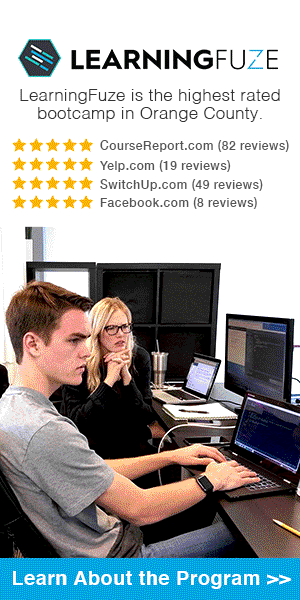 We’ve had students from many walks of life successfully complete our coding bootcamp. Chances are, you can too! And we’ll help you every step of the way. Our interview process is designed to make sure you are truly prepared for bootcamp, and give you a course of action if you are not. 2) What if I fail? The only people that truly fail are the ones who stop trying. We do everything we can to tip the scales in your favor so you succeed! We are here to help you when you stumble or get discouraged. 3) Am I too old? Many, many people have changed careers or started something new when they were older. There is no reason you can’t too. Julia Child, John Glenn, Colonel Sanders, Martha Stewart, Michael Bloomberg, Vera Wang all started new ventures later in life. You can reinvent yourself if you are interested and passionate. Go for it! 4) What if I’m worried about the time commitment? Time management and preparation is key in anything in which you want to succeed. 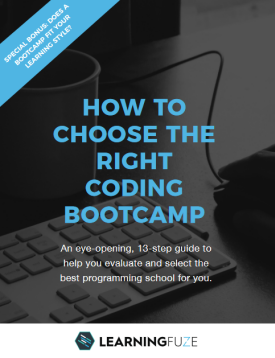 What was the initial reason you reached out to us about our coding bootcamp? Are you unhappy with your current job? At a crossroads or burned out with your career? These next 3 months are going to go by whether you go through the bootcamp or not. Why not invest in yourself and go for it? Join the hundreds of students who have, and are happy they did. Our highly structured program helps keep you on track while also letting you adjust your pace according to your needs. Instructors are constantly available to help tailor your learning experience. 5) Is it hard to land a job after I complete the program? Anything worthwhile will take hard work and dedication. The rewards far outweigh the investment in time and money if you’ve determined this is for you. Students who are engaged in the employment search process invariably land a position at companies all across Orange County. We know your end goal after boot camp is to get a really great job. Ours is too. It’s a partnership, and we will do everything within our power to help you land that dream position. 6) Isn’t it necessary to have a CS degree? We have received feedback directly from employers that practical hands-on coding experience and building real-world projects is what employers are looking for. And it’s not just our opinion. Many, many of our students have found deeply satisfying jobs. It’s about an ability to solve problems and acquire the technical skills to build applications that meet the needs of the market. 7) Will I have to fend for myself in class? Anytime you try something new, there is always the feeling that you might be all alone. But you really aren’t. You have an entire team devoted to your success. And your classmates are incredibly helpful also. Development is a team sport these days as employers have told us. Anytime you have questions or concerns or even self-doubts, just talk to us. We are here to help! 8) What if I can’t keep up with the class? We offer numerous resources including individual tutoring as well as an instructor for about every 5 students in the program. We have accumulated teaching resources and material over the last 5 years that allow us to address the needs of each individual student. Once we have made a commitment to a student who we feel is ready for the program, we are all in on that student’s success. We hope that bringing these eight common fears out into the open has helped alleviate your concerns. The key is to not be afraid to ask questions. The question you don’t ask just might be the key your classmates need to understand an important concept. Our hope is that your courage to try something new will outweigh your fears. Have more questions or concerns? Call us anytime at (949) 679-7699.